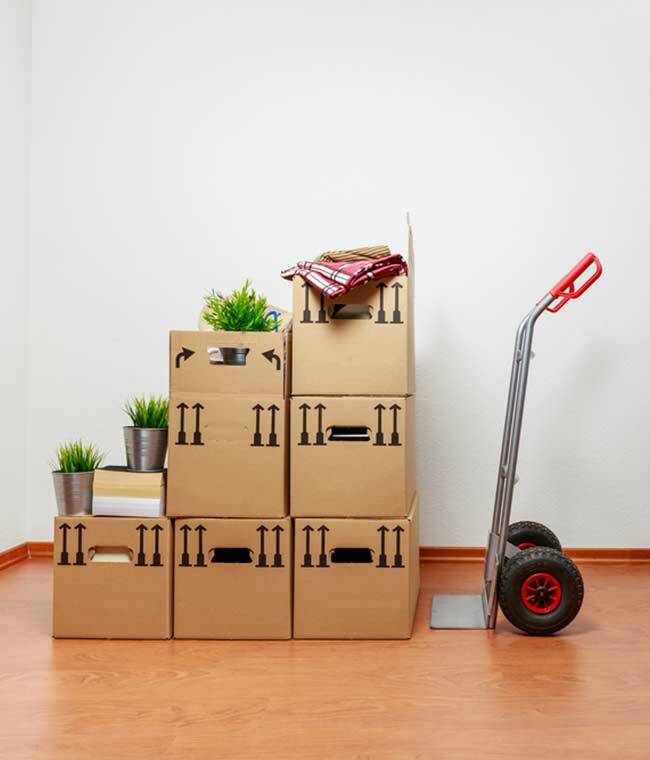 Moving house is notorious as one of the most stressful experiences you can go through; before you can start your new life in your new home there’s a lot to do. Preparation in advance is the key to having a successful house move. To make sure your move goes as smoothly as possible we’d recommend making a checklist of tasks you need to complete before the removals van rolls up. Other than friends and family make sure you give notice to authorities like HMRC and the council, also notify energy companies, transfer your TV licence and cancel or re-direct subscriptions services – such as ISPs, gyms or mail order services. You can also apply for postal re-direction though there is a fee. Moving is a great reason to sell off any hoarded items you’ve been keeping “just in case.” You don’t want to move more things than necessary so charities, eBay or car-boot sales are the order of the day. When you’ve sorted out the initial tasks of tidying and informing the proper parties of your move, you need to arrange a moving company. Moving companies provide varying levels of service when it comes to helping you pack and load, (see the next tab for more on finding moving services). Boxing up is a job in itself and you might be surprised just how much stuff you have! - Pack unused stuff first: You can start your packing early, box things up in the order of how often you use them, starting with things you rarely use. - Pack things together: Pack rooms into boxes and keep them together; this will make things much easier when it comes to refurbishing your new house. -Take care: Make sure you provide adequate padding for fragile items, antiques, crockery, bottles and the like as they can be easily broken. Layer between delicate items with packaging and make sure boxes are tightly packed so items can’t move around. Also, make sure these boxes are properly labelled so moving services know to be careful with them. - Keep essentials unpacked: Keep things you will still need in the run-up to the big day, things like toilet tissue, toothpaste and some eating utensils. Clean the oven and bathroom(s), vacuum and tidy up as best you can. You can either keep some cleaning supplies unpacked to use until the last minute or leave them behind for the new residents (things like bleach, furniture polish and air freshener). Some things you can’t help but leave until the last minute, like drying out fridges and freezers. Make last minute checks with your service providers to make sure things are going to be disconnected or re-directed, turn off wall plugs etc. Make sure you’ve got your essentials for your moving day ready as well as important documents, check your to-do list and wait for the moving van. Unless you own a van or lorry you’re going to have trouble moving without a professional house removals service. Different removals firms offer varying levels of service when it comes to house moves, some offer help packing, loading and unloading, some just provide the transport. A comprehensive moving service will assist in all phases of your move, they will help pack and load your items, transport them to your new place and unload and unpack for you. Of course, this service saves you a lot of work but comes at a premium because of how much work the removals service does for you. As a middle ground between full and self-service, semi-service moving companies will load and unload at both ends of the move but they won’t assist in packing/unpacking like a Full-Service company. The cheapest option when it comes to house removals, this option either has you driving a rented lorry/van or just hiring a driver. This is much less expensive than hiring a specialist removal firm but means the most work for you. When looking at different moving firms you might look for accreditation. The British Association of Removers and National Guild of Removers and Storers are both independent bodies that set a high standard and regulations for its members, so you can be sure that you’re getting a trustworthy service. Sometimes the best way to choose a moving service is by recommendation, ask friends and family if they know anyone that has moved recently or have used a removals company themselves. Online reviews are also a good place to look. Once you’ve decided what level of service you’re looking for you can take some time to compare available moving companies. Shiply can help you compare removal companies. By listing the details of your house move, you can receive quotes from different available moving firms. You can list all the details of your move with us, and be as detailed as you like. The more specific you are, the better. Shiply will allow you to compare available transporters based on their feedback from other users they have completed jobs for. You can also see how many jobs they’ve completed with us too. When you’ve received some quotes you can contact the quoting removal services through Shiply to clarify any finer details about your move or to ask them questions. Then it’s just a matter of accepting the quote that suits you best. -	Previous owners may have left a note for you, or may have left something behind. -	There might have been damage incurred since your last visit, make sure you take pictures of anything noteworthy. -	Meet the neighbours: Moving in is the best time to introduce yourself because you’re brand new to the area and you can ask lots of questions, the longer you leave it, the harder it will be. Once you’ve unpacked and have settled into your new home be sure to leave feedback on Shiply about the removal service you received. That way you can help other users when they’re going through the same process as you make Shiply a better marketplace. More than (100,000) house moves have been completed through Shiply and on average our users save up to 75% off the cost of removals. Shiply is rated 8.7 out of 10 based on 185 user reviews on Trustpilot.